There are two things that bother the Government about the proposed EU Digital Sales Tax (DST). One is that it will come to pass, causing a loss of tax revenue to Ireland and annoying the Americans - both firms and government. The other is that the DST will fail to pass, and then a number of EU states will introduce their own version of DST, leading to a fragmentation of the single market in digital products – causing loss of tax revenue to Ireland and annoying the Americans, both firms and government. Next week’s Ecofin Council in Brussels will have a crucial bearing on whether this tax proposal lives or dies. But the fragmentation has begun already. First out of the traps were the Spanish, announcing in late April that they would introduce a digital turnover tax in exactly the way proposed by the European Commission in March – 3% on digital companies with a worldwide turnover of €750m or more, and taxable turnover in Spain of €3m or more. On 15 October they were true to their word, publishing their draft budget for 2019 which included a DST law. (The budget also included a 0.2% Financial Transaction Tax on share sales of big companies, and a 15% minimum effective corporation tax rate). Next up were the British, with Monday’s budget announcement also following up a pledge to introduce a DST that would extract more tax from the biggest internet companies. But the British plan is different from the EU plan: they want to apply a 2% tax to companies that are profitable and make annual global revenues (turnover) from certain services of at least £500m. Philip Hammond, UK finance minister, thinks the move could pull in about £400m a year in tax by 2023 – it is due to start in 2020. So what about the EU plan? The idea, you may recall, was proposed by the French in 2017, part of President Emmanuel Macron’s response to public dissatisfaction with big tech companies making big profits on their operations in France, but paying little or no tax in France. The Irish were painted as the leaders of the opposition when the idea was floated at an Ecofin informal in Tallinn last year. But the opposition has grown, and now includes several Northern EU states, like Sweden. This is the home state of one of the few really big European online companies – Spotify, the leading musing streaming service. But large as its turnover is, Spoitfy has yet to declare a profit, raising questions about what is supposed to be taxed - traditionally corporate tax is levied on income, i.e. profits, not turnover. Spotify is among a group of 16 EU tech companies that have written to finance ministries ahead of next week’s meeting, arguing the move will hurt their development, as they need all their turnover to build scale if they are to compete with US and Chinese firms. The debate about digital tax tends to be cast as an EU versus America battle, but don’t forget the Chinese. Interestingly, Germany appears ambivalent about the plan. It seems lobbying efforts by industry suggesting that a geographical apportionment of tax revenue based on where profits are made, not where a company is headquartered are starting to cause second thoughts. After all, Germany is by far the biggest exporter of automobiles in the world. What way will the Ecofin go? Reports are mixed – some are saying the opposition is hardening, that technical work is not going well, and that the Council’s own legal services have said the Commission proposal is built on the wrong legal base. 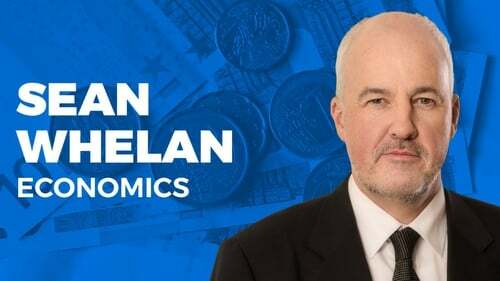 Others are more optimistic, including Pascal Saint Ammans of the OECD, who told a tax forum in Dublin last month that he has a gut feeling that despite all the opposition the DST might be a thing by the end of this year. Ireland’s preference for dealing with the taxation of the digital economy – by far the most interesting intellectual challenge in taxation – is to have a multilateral approach, driven by the OECD. The advantage of this is that it would probably include the Americans right from the start, avoiding possible "trade war" style tensions. The disadvantage is that it includes the Americans right from the start, and there is little headway being made by the OECD to broker a deal, as its head Angel Gurria told RTÉ News earlier this year. Last Friday, US Treasury Secretary Steve Mnuchin again stated the US government’s opposition to the EU DST plan, urging states to work with the OECD. The latter is not due to report until 2020, and countries are getting impatient – as are their electorates. And while the US has been critical of "unilateral actions", they have been quiet so far about the British and Spanish actions. Meanwhile his French Counterpart, Bruno Le Maire, has been working the political patch, appearing at the Econ committee of MEPs in Strasbourg last Wednesday, complete with a Twitter hashtag, #wepayyoupay, to try and boost public support and so pressure reluctant governments. The subtle lobbying line – don’t put yourselves on the wrong side of public opinion on this. The EU DST plan is supposed to be a temporary measure, to last for a few short years only to act as a spur to getting global efforts over the line. In that sense it seeks to lever the so called "Brussels effect", in which an EU measure can become the de facto global standard that others follow. The latest example of this is the General Data Protection Regulation, the European law on the protection of personal data. It was lobbied against by US tech giants, especially those dependent on user –generated data. But now some are calling for the US to cut and paste the GDPR into its domestic law, chief among them Apple boss Tim Cook, who called for precisely that in Brussels last Thursday. So the situation is fluid. Around 19 of the 28 states are known to support the measure – which needs unanimity of it is to be adopted. But just in case, two of them, including the one that is leaving, have already adopted their own measures to tax the digital giants. So the Government is confronted by both its feared outcomes on DST simultaneously. And in the background there are whispers that Ireland will be called on to give something on corporation tax as a quid pro quo for Brexit solidarity. If there is any substance to such talk, DST might just be the least damaging thing it could "give" on.